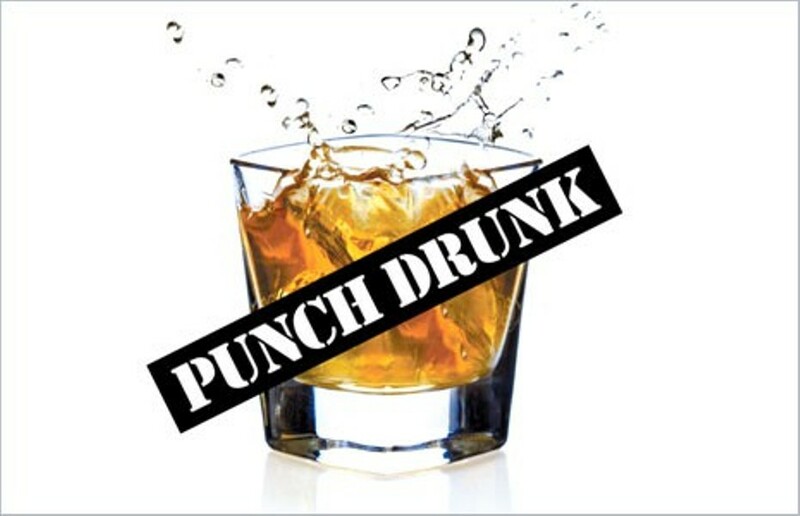 Punch Drunk: The Gym Excuse Spectrum | Back Page | Style Weekly - Richmond, VA local news, arts, and events. It’s now April, and if you’re still hitting the gym consistently since you made that new year’s resolution to get in shape, then congrats. You’re disciplined. You’re committed to change. You’re a beacon of hope and firm abs in a sea of subcutaneous fat and guys wearing T-shirts in swimming pools. But are you doing it for the right reasons? A new study says that 40 percent of the population that works out is exercising only as part of a calorie justification program — meaning that 40 percent of the population eats like hell and needs a reason to continue doing so. I am very much a part of that 40 percent. But it could be worse. I could be not working out at all, which is what a giant pizza slice of the population does. The problem is, we aren’t working out for our health or for prolonging life, or even to just look sexier. No, we’re working out so we can eat tacos for dinner. Or in my case, a pastrami, knockwurst and swiss on rye with a pile of thick-cut potato chips from the New York Deli. And because I’m already sitting at the bar, four beers and a shot to wash that down. The study also looked at reasons, or excuses, that people don’t work out. They include a lack of time, no motivation, too tired, bad weather, simply not enjoying exercise, can’t afford gym, gym too busy, too intimidated and had a bad day at work — in that order. Confusing body fat percentage with blood alcohol content, which is consistently around 7 percent. Banned for reasons we’d rather not discuss. Too many naked old men in the sauna. Not enough naked old men in the sauna. Not sure how that doo-hicky thingie works. Afraid to go near it. Not sure how to scan membership key card upon arrival. Afraid to ask front desk people for help. Sitting on the toilet nine times a day due to a combination of 7-Eleven microwave bean and beef burritos and Barefoot Merlot has body conditioned to constantly expel contents. You’re running clean! After that, gym just seems redundant. People at Willow Lawn Gold’s Gym too attractive. People at Planet Fitness not attractive enough. Hot yoga studio too hot. Regular yoga studio sort of drafty. Weird guy in locker room puts his shirt on before putting his underwear on. Afraid to leave cats alone for too long. Drank too many Tecates at Baja Bean last night. Busy following #RVACouncil on Twitter. Hired Joe Morrissey as new holistic guru. Family pet, Lil’ Jon, died on hamster wheel. Treadmills bring back too many memories. Movies less enjoyable after Gold’s Gym stopped allowing you to bring full charcuterie spread into cardio cinema. Children’s day care center apparently for children only. Body image issues due to all the mirrors and having to look at self. Aggressive herd of sleeveless-T bros all jacked up on their pre-workout shakes congregating around water-fountain area. Ex-girlfriend over there on the leg press. Current girlfriend on elliptical machine. Mistress on adjoining elliptical machine. Stop kidding yourself. You’ve never spoken to any of these women. You were only hitting the gym to grab issue of Style Weekly and then go get a nice protein fix at the Chipotle next door. Again, the gym banned you for reasons that you’d prefer stay private. It was a crime of passion. Leave it alone. Jack Lauterback also is co-host of “Mornings with Melissa and Jack” on 103.7 Play weekdays from 6-9. Connect with him at letters@styleweekly.com, or on Twitter at jackgoesforth.